Reimagined, recycled, reworded, rebranded - what is really new in collecting? This ADAA Collectors’ Forum, sponsored by AXA Art Americas Corporation, examines the question in Boston’s unique ecosystem of art and culture. Discussing how individual collecting strategies reflect changing attitudes and economies over the past decade, the panelists will focus on new approaches and new ways of thinking about collections. Gift of Graham Gund to the Institute of Contemporary Art, Boston, the Gund Gallery, Kenyon College, and The Solomon R. Guggenheim Museum. Courtesy of the artist, Luhring Augustine, New York, and i8 Gallery, Reykjavik. 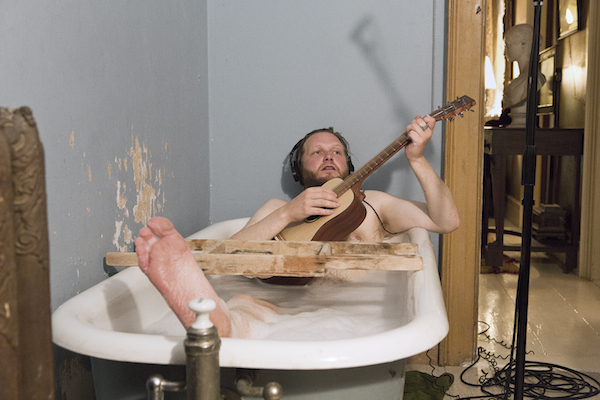 Ragnar Kjartansson, The Visitors, 2012, Nine-channel HD video projection, 64 minutes, Edition 4 of 6.